The negotiations among Germany, France, Belgium, Netherlands and Luxembourg resulted into signing an agreement among the governments of the Economic Community states of Benelux, West Germany and France on the gradual abolition of checks at their common borders. This Agreement was signed on 14th June 1985 in a Luxembourg border town of Schengen and is known today as the Schengen Agreement. The main aim of the Schengen Agreement was a gradual abolition of border checks on internal borders for the nationals of the member states of the European Community and enabling a free movement of people, goods and services. It was obvious already on signing the Schengen Agreement that the integration process regarding the cooperation of its member states on the protection of their external borders would continue, so it was necessary to strengthen mainly their common fight against illegal immigration and organized crime. The outcome of this effort was a Convention implementing the Schengen Agreement signed on 14th June 1985, the so-called Schengen Convention. Ratified by single states, the Schengen Convention came into force in 1995. The Schengen Convention was the first agreement which definitely abolished border checks of persons on internal borders of signatory states, harmonized the process of border checks on external borders of the Schengen area and established a common policy for issuing visas and related measures such as cross-border police and justice cooperation of its member states. The signatories of the Schengen Convention agreed that each member state can re-introduce border checks on their common borders only under certain specific circumstances. In the following years other European countries gradually joined the Schengen Agreement and the Schengen Convention; they were mainly EU member states but also non-EU members (Norway, Iceland, Switzerland and Liechtenstein). Great Britain and Ireland are EU members which have not fully joined the Schengen Agreement until now (they only cooperate with Schengen states in some aspects). The Amsterdam Treaty changes the Treaty on European Union, Treaties establishing the European Communities and some related acts. The Treaty was politically approved and 2nd October 1997 it was also signed by single signatory states. It came into force on 1st May 1999. As a part of the Amsterdam Treaty, the Schengen acquis was incorporated in the Treaties on the European Union, acquiring an institutional and legal framework, and it has become a part of the acquis of the Community. 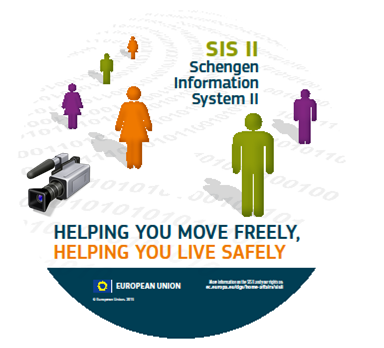 The Protocol on the Schengen acquis incorporated in the EU framework is the so-called Schengen Protocol.